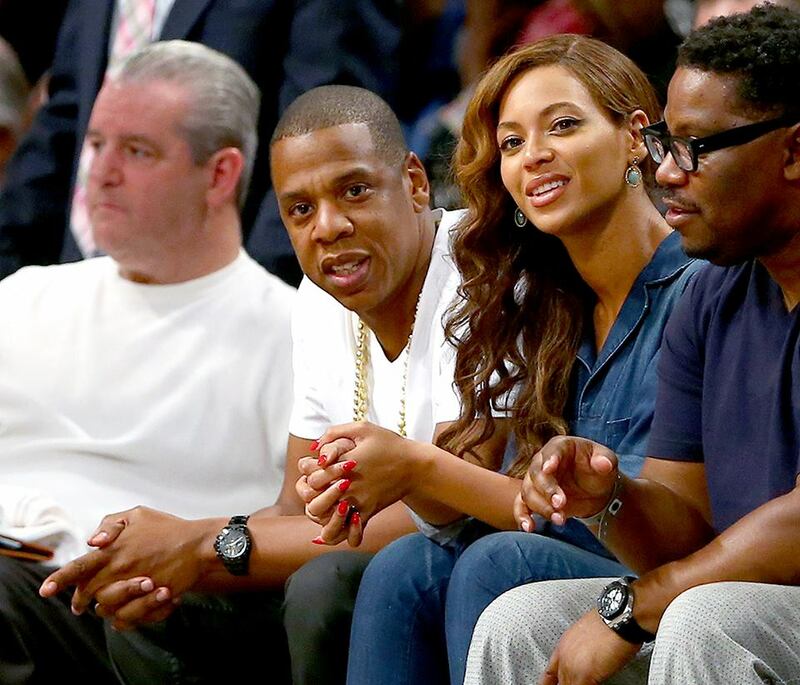 Sitting pretty next to Jay Z at the Nets game last night. The two even took a few moments to chat with LeBron James. Anyone else as obsessed as we are with this story? Thoughts? Theories? At least Bey looks good in her denim (and anything, really). This entry was posted on Tuesday, May 13th, 2014 at 11:49 am	and tagged with Beyonce, Denim, Jay-Z, jumpsuit, LeBron James, Miami Heat, Nets, Solange, Solange Knowles and posted in In The Wild, Music. You can follow any responses to this entry through the RSS 2.0 feed.